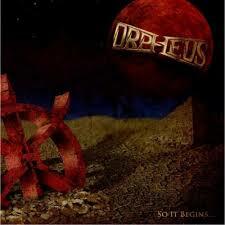 ‘So It Begins…’, Orpheus’ E.P and first release. The E.P showcases the bands beginnings and first 6 songs. Can you here their lies? You've seen it all A thousand times. To the suffering, offer no repentance. To save the world from this destruction. Can you feel them in the night? Dreams that fail and disappear. The answer clear and now defined. Lost in thought, your mind's betrayal. You've shamed the words on which I thrive. My demons come to fall. I find it hard to move, A fire burns inside.